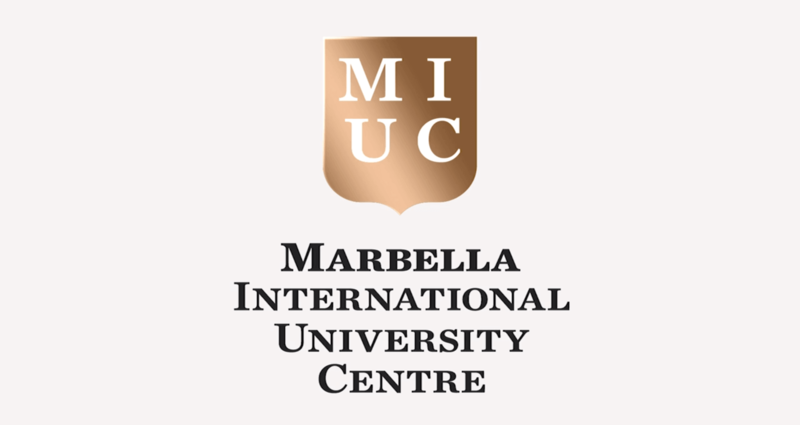 Not just one of the most breathtaking environments in which to study, Marbella International University Centre also offers a world-class environment for learning, development and progression. Please fill in the details below in order to continue with your MIUC Application. Earn UK and bologna accredited degrees which will grant you lifetime skills and top job opportunities. A one-to-one, guidance and follow up of our student’s personal interest and academic development. Sunny and splendid Marbella that attracts people from all around the world. Secure bright and sophisticated. Join our vibrant international student community from more than 70 different nationalities which makes the learning environment more interesting and enriching at the same time. Our classes are characterised by the reduced number of students ( 10:1 - student:professor ) and this means that a great deal of care and attention is on offer. Learn Spanish, English, Russian, Chinese or Arabic. Benefit from a comprehensive preparation of language official exams such as Cambridge, BULATS, DELA, DELF, etc. Sunny and splendid Marbella that attrats people from all around the world. Secure bright and sophisticated. Join our vibrant international student community from more than 40 different nationalities which makes the learning environment more interesting and enriching at the same time. Our classes are characterised by the reduced number of students ( 10:1 - student:professor ) and this means that aa great deal of care and attention is on offer. Small class sizes and a focus on practical analytical thinking helps to prepare students for the modern demands of the business world. Our postgraduate degrees are aided by modern technology and specialized workshops run by influential political figures and successful business leaders. Ranked first among modern universities in London, UWL is one of the fastest growing career universities in UK. In 2018, MIUC and UWL will award their first degrees to the graduates of the Business, Marketing and International Relations programmes. MGIMO is one of the most prestigious universities in the country. MIUC and MGIMO jointly offer double Master and Bachelor degrees in International Relations and International Business, with students studying at this institute in their final year. Seeing and reading about MIUC can only scratch the surface of the full experience. Our international students share what makes MIUC one of the most rewarding and unique educational institutions in Spain and Europe. MIUC understands the benefits of building bridges for students to gain real-world experience with exceptional brands. Our network of companies and institutions cover a wide range of sectors. During internships, internees are mentored by the company as well as a MIUC faculty member to ensure support and positive outcomes throughout the work experience. © MIUC. All rights reserved.